Isaiah Rogers grew up on his family farm in Alabama. Loved by his family, he’s a country boy at heart, a southern gentleman by raising. The path to northern Indiana was twisted and long, but this sensitive man found a comfortable niche as a member of the Rebel Wayfarers, vice-president of their affluent and growing Fort Wayne chapter. Hoss, as he’s now known, retains pieces of the boy from rural Alabama, but life in the club has hardened him, driving home the message time and again that love isn’t safe. Hope Collins also grew up in Alabama, but their histories could not be more different. An ill-timed youthful rebellion came with long-lasting consequences. It’s then she finds she’s not an only child after all, her father holding up her half-sister’s failures as a painful lesson before closing the door of her childhood home in her face. Hoss and Hope’s paths collide when she travels to Fort Wayne, to meet the sister she had gone most of her life without knowing about. 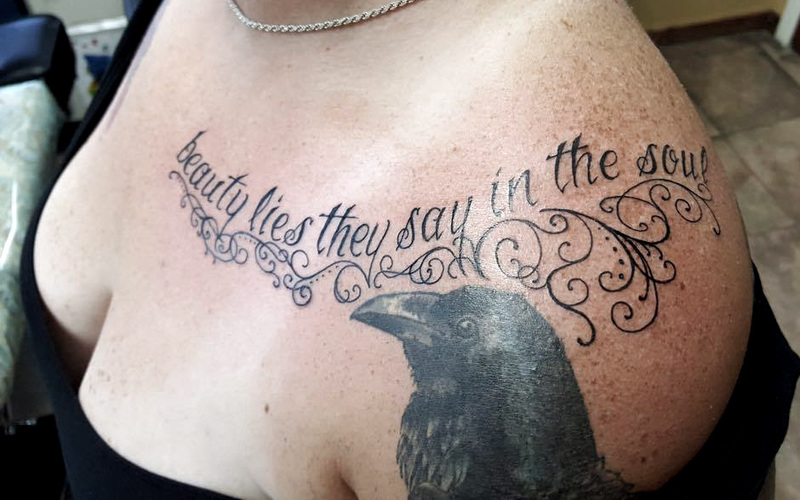 For Hoss, from the first moment he laid eyes on her, the truth and beauty inside her called to him. Now he will have to find a way to win the woman’s trust and love, while navigating the dangerous currents swirling around the club. 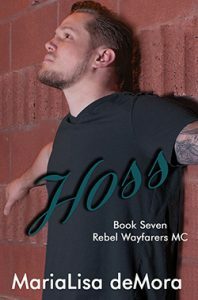 **Hoss introduces readers to the hard topic of homelessness. To learn more about this issue and how to get involved please check out my Empower Yourself page. Beardo Weber’s Bewbs – No Touchie! Chapter 4, What do you want? Sammy had been a little cautious with his responses when she questioned him, and she suspected there was more to the encounter between Hoss and Mercy this morning. At least Sam and Mercy seemed to have hit it off, and he had spoken without wariness about seeing Hoss, more interested in telling her about his exotic breakfast. “What did he mean about you belonging to them?” Picking up the mug, she blew across the top of the liquid and then cautiously took a sip, walking alongside Mercy to the couch, the two women sitting on either end, facing each other. “I know a bunch of the members. We’re friends. I’ve been around the club for a long time, and now I work at Slinky’s.” Mercy shrugged, but a blush spread up her neck to her face. “What does Slinky’s have to do with it?” Hope sipped her coffee again, looking at Mercy intently. Hope stared at him wordlessly. The man was gorgeous, and with his brown-eyed focus solely on her, she couldn’t look away, couldn’t speak, could only stare back at him. She watched as one corner of his mouth quirked upwards, pulling his lips sideways into a small, pleased smile. Without thought, she returned the expression back to him, which only caused his satisfied smile to widen. “Beautiful,” he murmured and lifted a hand to cup her cheek. The feel of his hand on her face broke whatever spell he had woven around her and she jerked back, dropping her gaze to the cushion in front of her folded legs as soon as his tender smile faded into a scowl.